Out of the over six million car accidents that happen each year, roughly 2.6 million are rear-end collisions. There is a great deal of diversity as to the seriousness of these accidents as well as the degree of injury they cause. The variables in a rear-end accident are numerous, and the pain and suffering victims of rear-end crashes experience is considerable for many. Let’s look at rear-end accidents, their causes and the incidence of serious injury to better understand the degree of pain and suffering. An accident can change someone’s life in a moment. Suddenly, they are thrust into a world filled with doctor’s visits, surgery and rehabilitation. They may be unable to work and suffer unremitting pain. 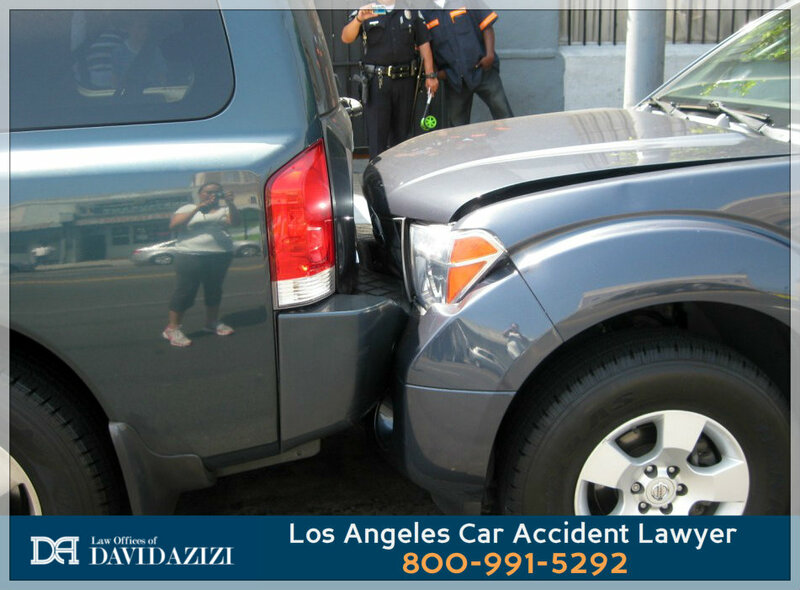 Car accident lawyer David Azizi understands the effect that this has on a person’s life and works hard to help clients regain their footing after an accident. 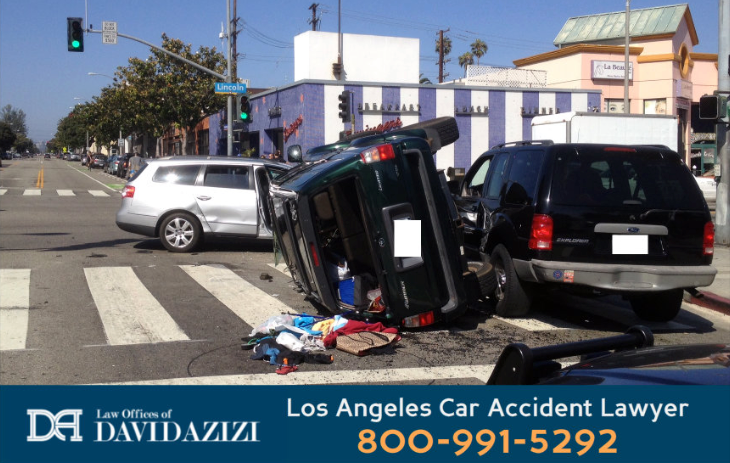 Expertise.com called David one of the top personal injury lawyers in Los Angeles. His clients already knew it. Aside from winning 98 percent of his cases, David listens to his clients, answers their questions and understands their fear and pain. Call him anytime at 800-991-5292 to discuss your case free of charge. If it’s easier, contact David online 24/7. Ever wonder why rear-end accidents are so common in California? Part of the problem is the massive traffic people must navigate every day. The number of vehicles registered in California in 2017 exceeded 35 million. Since most people must use their vehicle to get to work or the store and travel over highways to do it, it is not hard to imagine that accidents happen. Factor in the traffic jams and slow progression that people face, and the overall incidence of rear-end accidents rings true. Tailgating: While drivers are told to stay several car lengths away from the lead vehicle, this rarely happens. The biggest problem is when the lead vehicle stops suddenly. Tailgating is often seen as a manifestation of aggressive or reckless behavior. Inclement weather: Sometimes, fog or rain makes it impossible to see ahead. Unfortunately, some drivers travel at a speed, although within the legal limit, that is not prudent for the weather conditions. Stopping before hitting the lead vehicle is almost impossible on slick roads. Driver impairment: Both alcohol and drugs can interfere with a driver’s judgment and their reflexes. Even when no other adverse condition exists, hitting a lead vehicle is common if the driver is impaired. Driver distraction: Looking away from the road for any reason such as texting, eating, changing a radio station or turning to look at something or someone in the back seat can cause the driver to hit the car in front of them. Accidents: Many drivers divert their attention from the road when another accident happens, even if the vehicles have already been moved to the side of the road. Plus, the driver in front may be doing the same thing or slowing down. This chain-reaction effect is a cause of rear-end accidents. Police: If another driver is pulled over by law enforcement, cars will slow as drivers look to see what happened. Absence of brake lights: If the lead vehicle has non-working brake lights, the driver behind them will not know that they are stopping. When this happens, the lead driver will need to assume some of the fault in the accident. The rear driver is still responsible in part because he or she should be at a prudent distance away and alert for changes in traffic. The nature and severity of an injury in a rear-end accident has a lot to do with the pain and suffering compensation a victim will receive. One of the most common injuries is whiplash. This occurs when the muscles, tendons, ligaments and soft discs between the vertebrae in the neck (cervical area) are damaged. It can range from a limited situation to one where the pain exists chronically. Although about 50 percent of all whiplash symptoms persist longer than a few months, not all whiplash accidents are symptomatic right after the accident. Instead, they may appear several days later. This delay may make the accident victim decide not to seek medical care after the accident. Chronic whiplash-induced pain can occur for several reasons. One factor in chronic pain is whether the discs in the neck are damaged, or the person had a preexisting condition such as osteoarthritis that was aggravated by the injury. When this exists, the whiplash injury becomes a component of chronic, unrelenting pain. Back pain: Injury to the cervical spine also presents with pain in the low back. In fact, 50 percent of all whiplash victims endure low back pain. Headache: This occurs in 90 percent of all whiplash victims. It is usually felt in the skull right above the neck. This can persist for years and be severe intermittently. For example, if the person bowled in the past on a regular basis, after whiplash, they might develop a severe headache when they bowl. This interferes in their enjoyment of the game and life. Fractured vertebrae: If the neck sustains injury, vertebrae may fracture. This happens most often if the vertebrae were weakened by a preexisting condition, such as osteoarthritis. While osteoarthritis may weaken the bones throughout the body, the cervical vertebrae do not usually succumb to fracture due to the strong soft tissue component of the neck. However, in whiplash, the muscles and tendons are damaged and make fracture more likely. Traumatic brain injury: This can occur if the rear vehicle was traveling above 20 mph when the crash occurred. The brain is thrown forward and backward and can strike against the inside of the skull. This can cause a concussion or a more severe form of brain injury. The force of impact is directly related to the speed. The value of a rear-end accident is based in part on the severity of the injuries and the extent of medical intervention that is necessary to treat it. The extent of injury in a rear-end accident can range from soft tissue discomfort to long-term pain along with a serious change in the person’s lifestyle. Likewise, a significant injury to the person’s back or neck requiring surgical intervention such as vertebral fusion will usually be compensated more than a less serious, soft-tissue injury. Estimates of recovery time or if the injury is considered permanent all factor in. Economic damages: These are easily calculated and represent the financial cost of the accident such as medical treatment and lost wages. Noneconomic damages: These are more subjective and represent the emotional, psychological and physical pain the person experiences after the accident. This is also called pain and suffering. Pain and suffering is a phrase that encompasses all the pain the victim suffers due to his or her injuries both acutely and chronically. It also includes the pain due to the medical treatment when the injury happens and necessary treatment in the future. In addition to pain, an individual experiences emotional distress because of the pain and the injury itself. Factor in the worry, depression and anxiety the person feels, and you have an idea what pain and suffering are. the types of medical treatment a person will need. For example, rest and analgesics or surgery. the effectiveness of medical care. This is usually calculated after the treatment has occurred. If the person is still symptomatic despite treatment, they are said to be maximally medically improved. This means that some symptoms have continued, and further treatment will not alleviate them. Chronic pain and suffering is often given a higher value. the effect of the injuries on a person’s work and lifestyle. the length of time it will take for a person to recover is another priority. If full recovery is not possible, that is included in the compensation the person will receive. The person who is responsible for the accident must be shown to be negligent for the personal injury claim to continue. Whether it was reckless behavior or following too closely, fault must be demonstrated. Your attorney will use different means to establish fault such as talking to witnesses, reviewing police reports and visiting the scene. Depending on the accident, forensic experts will help determine why the accident happened. If you are in a rear-end accident, you need the services of a seasoned law firm. David Azizi has been handling such cases for 21 years. He leaves no stone unturned to find out why the accident occurred. David also reviews medical records, interviews medical providers and uses experts to determine the degree to which the victim might recover. Once he has structured a strong case, he uses his skill to negotiate a settlement with the insurer. If the insurance firm is unwilling to pay what the accident is worth, David has no qualms about taking the case to court. Call David as soon as possible after the accident before evidence disappears and witnesses’ memory fades. Let him take the burden of fighting for your rights and give you the ability to concentrate on yourself. Reach out at 800-991-5292 for a no-obligation case review. If you wish, check out David’s whiplash calculator. You can enter your data online, and review the answers at the free consult.